I find the first day of any tour to be the most difficult. When dealing with the airport and airlines, the first day has the greatest potential for things to go wrong. However, once people are on the bus with their luggage, usually the rest of the trip goes quite smoothly. 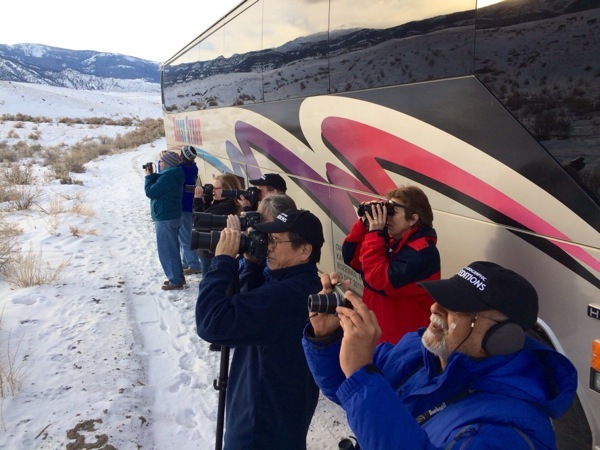 Here we are north of Gardiner just before we enter Yellowstone National Park looking at our first bighorn sheep of the trip. Life is good and we are on our way!